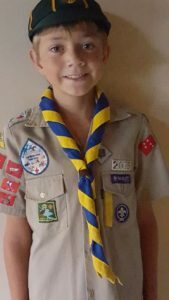 We spoke to Nicholas Viviers (9) from 1st Henley Cub Pack in Gauteng. Cubbing is so much fun because we play fun activities, learn how to make a fire and get a lots of badges. I enjoyed stargazing night for which we received a badge. Camps are tough because I am away from home. Putting up a flag, using a compass, making a fire and tying knots. We have cleaned the river, planted trees and cleaned up litter around Henley. I showed her how to tie a knot and how to make a fire. 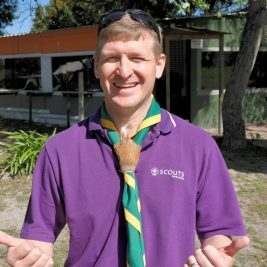 A good Akela is helpful, playful, teaches us lots of things and is patient. My Akela is special because he is loyal, devoted and he is always there for us when we need him. Cubbing Rocks … My Socks!